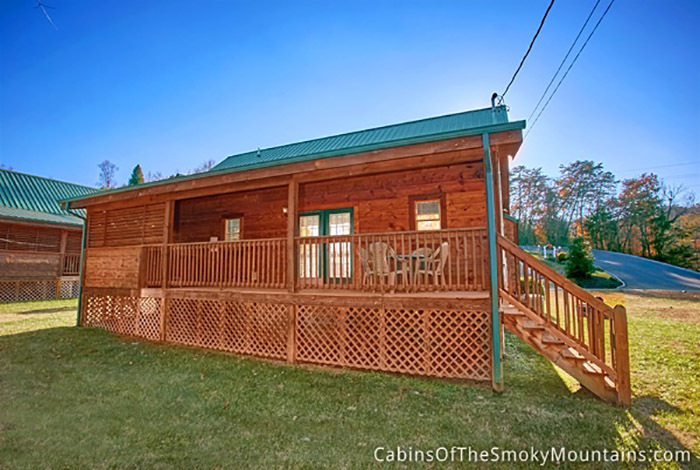 This unique one bedroom cabin will allow you to Indulge yourself within the city limits of Pigeon Forge. 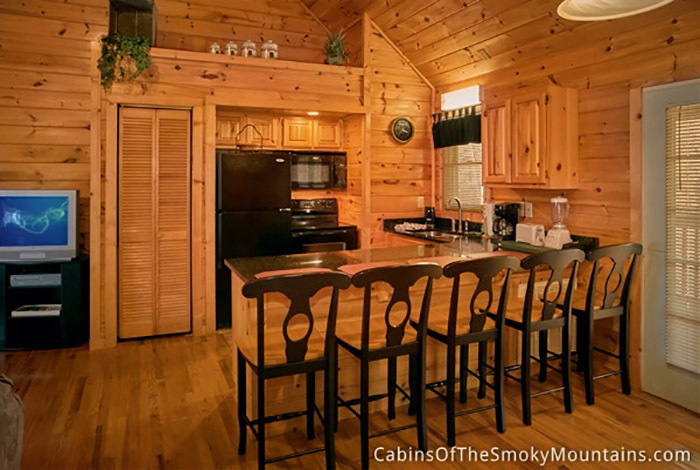 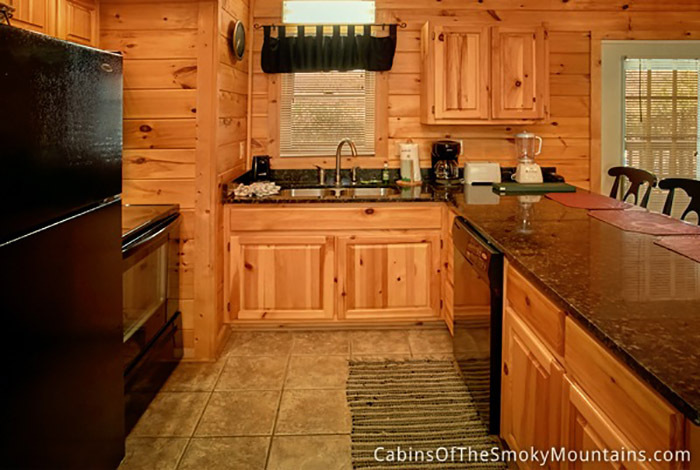 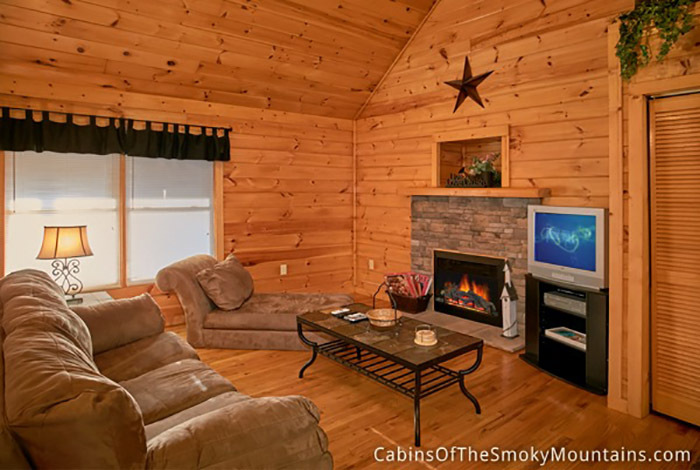 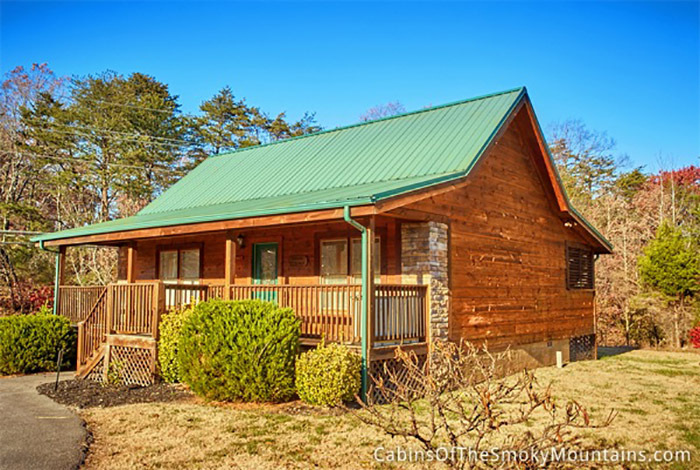 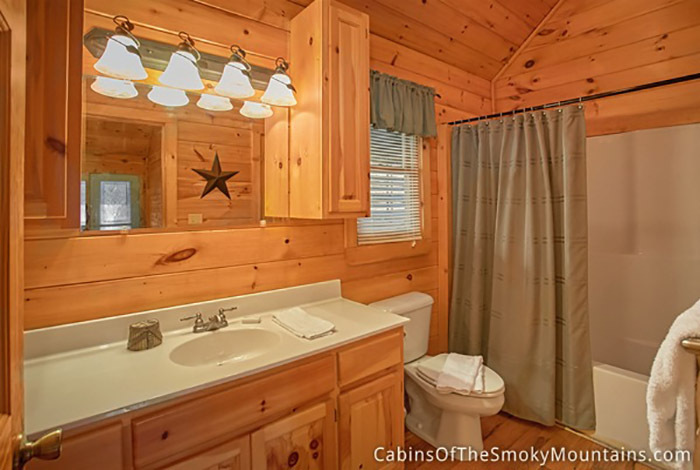 So if your looking for a cabin that's just a stones throw from the main Parkway in Pigeon Forge and less than ten minutes from Gatlinburg "Indulgence" is just that cabin and much more. 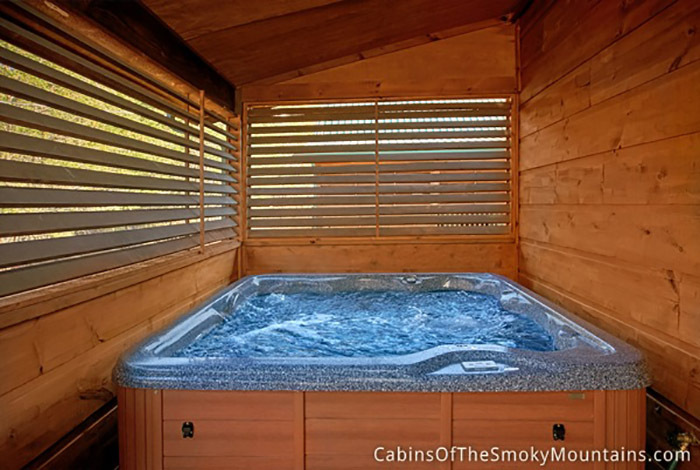 Sit back and relax in the luxurious Hot Tub while surrounded by the beautiful Smoky Mountains. 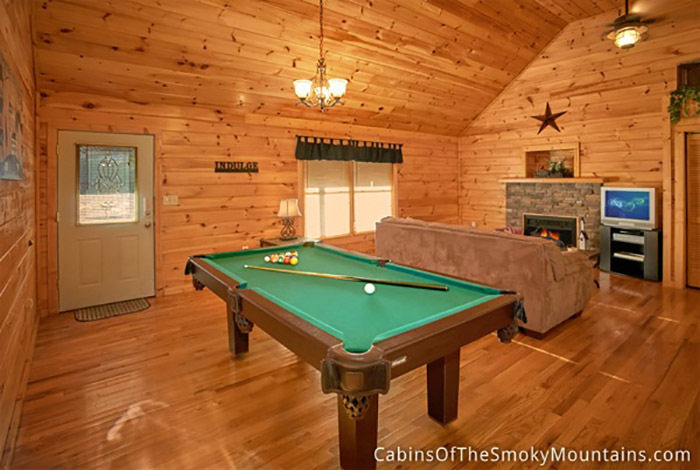 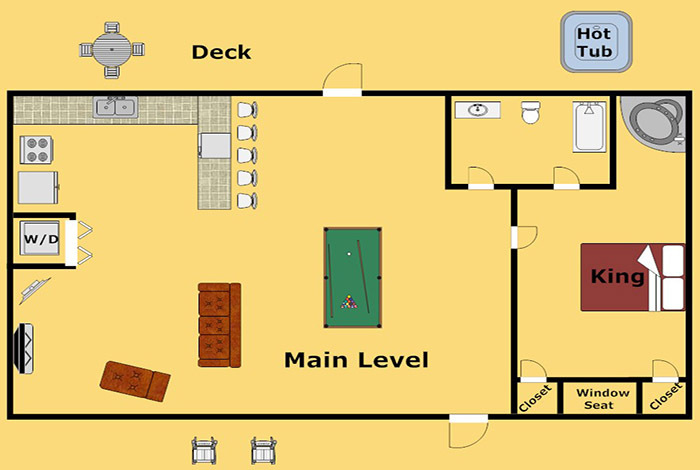 "Indulgence" also offers a pool table so everyone can enjoy a friendly game. 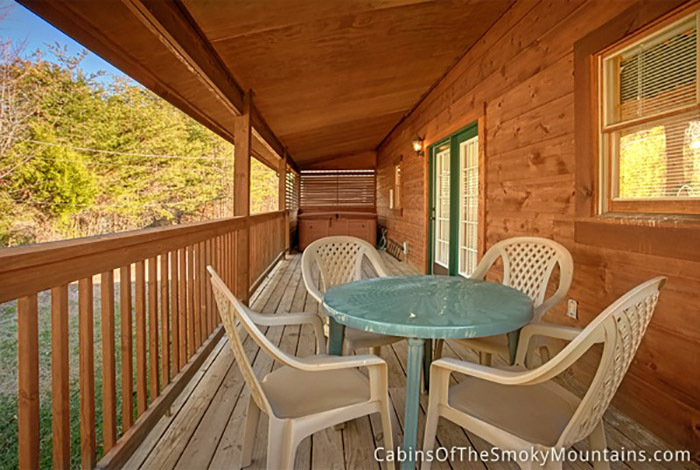 Should you decide to venture out of your cabin paradise, you will be pleased to find you are only minutes away from all the main attractions within the Smoky Mountains has to offer. 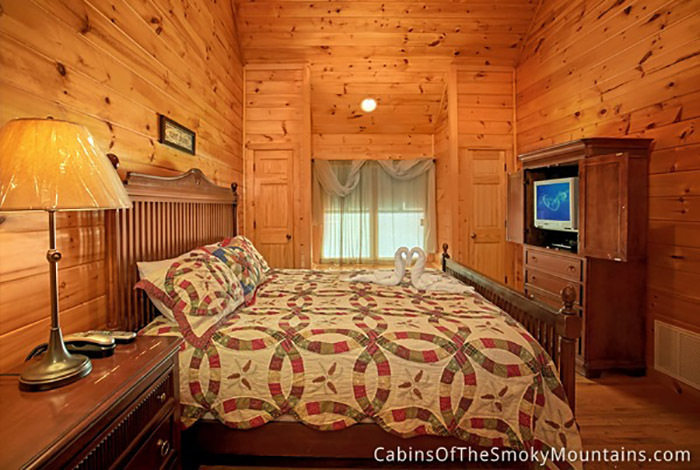 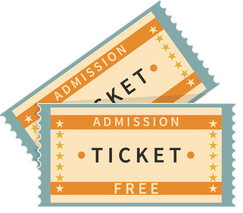 Enjoy the Hatfield McCoy dinner show or spend the day at Dollywood. 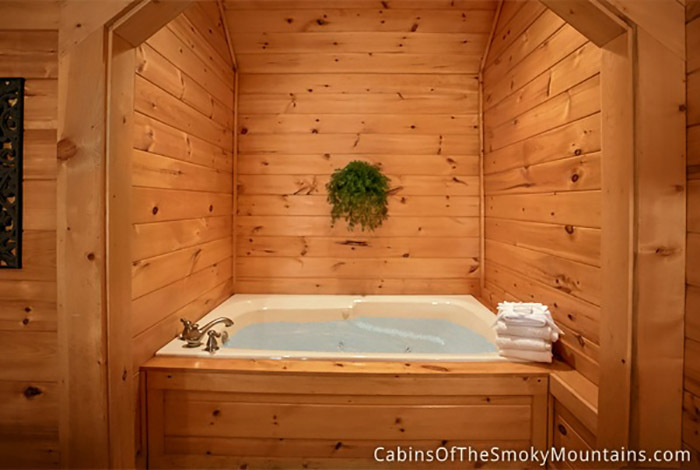 Regardless what you have planned "Indulgence" has it all to keep you more than comfortable during your entire stay in the Smokies.